Who Were the Circus "Freaks"? Collectors now buy and sell photographs of former sideshow "freaks" — but who were these people? 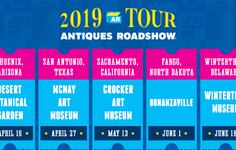 The "Bearded Lady," the "Four-Legged Woman," the "Albino Sisters," and "Jo-Jo the Dog-Faced Boy," made a surprise appearance at the ANTIQUES ROADSHOW Tampa event in the summer of 2005. Once promoted as "freaks" at dime museums and circus sideshows they all showed up in a collection of more than a hundred late 19th-century photographs. We were curious: Who were the people who posed for these photos, and were their oddities staged, or were they real? 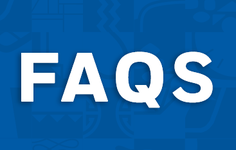 For an answer, we consulted Robert Bogdan, a professor of sociology at Syracuse University and the author of Freak Show: Presenting Human Oddities for Amusement and Profit. Bogdan said that if there was only one thing true about every person who appeared in a sideshow, it's that they were packaged and puffed up to sell to the gawkers. "The whole thing is hype," Bogdan says. "It's not like these people didn't have some physical abnormalities. Many did. But there was always a story to go with it. This was show business." "Jo-Jo the Dog-Faced Boy," whose face was entirely covered with hair, accentuated his "act" with barking and yelping. Usually, the hucksters began with a dash of reality and then doctored the soup with a combination of exaggerations, bold-face lies, and pseudoscience to entice the paying rubes. The first human "oddity" that the showman P.T. Barnum ever exhibited, Joice Heath, was 80-years old in 1835, but Barnum promoted her as the 161-year-old nurse of President George Washington (who died in 1799). The man with poorly formed arms became "Seal Man"; the man with poorly formed legs, "Frog Man." The man whose entire face was covered with hair was Jo-Jo the Dog-Faced Boy. Sometimes the scam consisted of elevating someone's status to epic proportions. Charles Sherwood Stratton, a tiny boy with a pituitary problem born into a Connecticut family of modest means, became rich when his promoters changed his age, changed his birthplace to London, and re-titled him General Tom Thumb. Sometimes the ordinary was billed as the exotic. An African-American dressed in a grass skirt and given a spear was sold as a Zulu tribesman. Attractive women had their hair soaked with beer and then teased to create Afros — part of the shtick used to create "Circassian Beauties," who had reputedly escaped from Turkish harems. Most were neighborhood girls in need of cash. 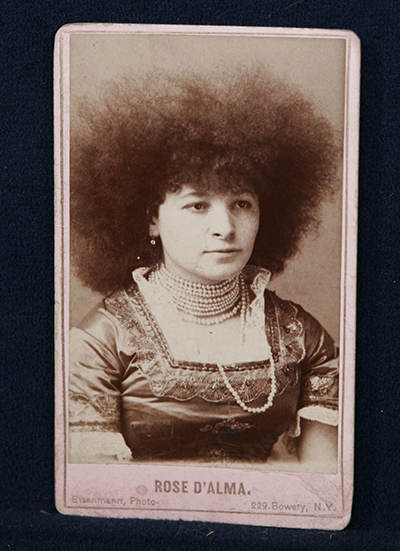 One of Barnum's frizzy-maned "Circassian Beauties" — billed as exotic escapees from Turkish harems. In fact, the traveling sideshows often hired local girls and teased out their hair with beer. Other times, the acts were outright fakes, known in the business as "gaffed freaks." 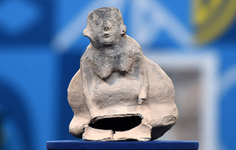 This was especially true during the heyday of sideshows, from the 1880s to the 1920s, when there was hot competition among promoters for real Siamese twins and other human oddities coaxed with lucrative contracts to join exhibits. The four-legged lady was often two ladies — one, in full view, with her two legs, and another who was hidden from view, supplying the other two. The ape-like "Madamoiselle Fanny," dressed in Sunday clothes and a parasol, was not some strange half-breed offspring of human and ape, as she was billed. From her calloused knuckles to her prominent jaw, she was every inch an actual ape. P.T. Barnum was savvy enough — some have called him the Shakespeare of advertising — to use the suspicions of the paying public to his own advantage. To promote Madam Clofulia, the bearded lady whom he recruited from Switzerland, Barnum planted a person in the audience who charged that she was a fraud, a man dressed in women's clothing, and took his charges to court. Three doctors confirmed that the Madam actually was a Madam, as did two men who should know best — her father and her husband. 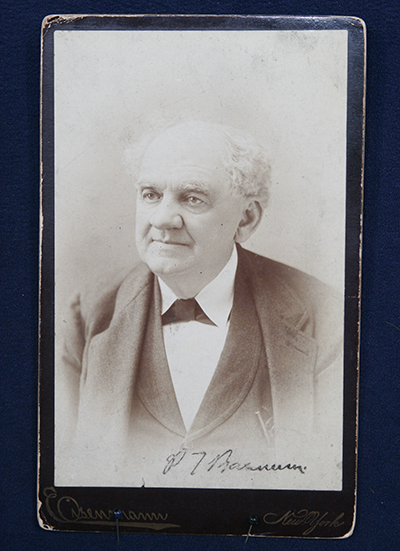 The judge, knowing a con when he saw one, dismissed the case, but not before press accounts of the lawsuit drew thousands curious customers to Barnum's museum. P.T. Barnum: the "Shakespeare of advertising." 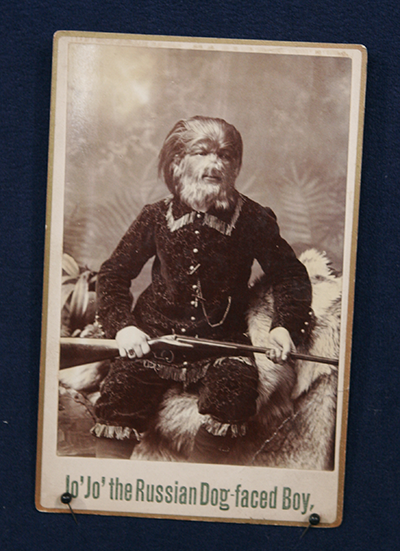 The photographs of these sideshow acts that appeared at the Tampa ANTIQUES ROADSHOW were part of the con. Very tall men were photographed next to miniature chairs to turn them into Goliaths. Dwarfs were photographed next to oversized chairs to make them into Lilliputians. A heavy-set child was given looser clothing — which was stuffed — to transform him into "The Ohio Fat Boy." If the exaggeration couldn't be done during the studio session, it was done afterwards. Curly tufts of hair were scratched into a negative of a hairy man to make him "The Hairiest." Such photographs were sold alongside the acts and they were popular: Lavinia Warren, a.k.a. Mrs. General Tom Thumb, would order 50,000 pictures of herself at a time for sale. "For a lot of the people in these acts, there are no written records," Bogdan says, "just the pictures." 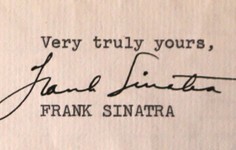 Many of the photos in the collection that showed up at the ROADSHOW were signed, which was common. " 'Charles Tripp, the Armless Wonder,' would sign his photos with his toes," Bogdan notes. "'The Chinese Giant' would sign his name in Chinese." 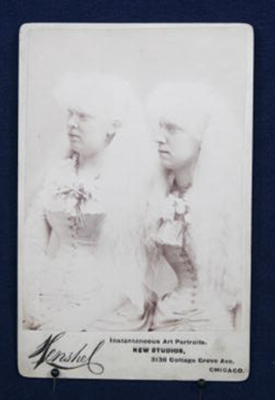 The "Albino Sisters." People with albinism — a genetic deficiency of melanin pigment — were another popular attraction of 19th-century exhibitions of "human oddities." The people who bought the photos would put them in albums and show them to guests at home — free advertising that the promoters counted on to muster up another posse of visitors. "For the most part, the whole thing was a joke to the people who participated in it," says Bogdan. "It wasn't this heavy, dark thing. For them, the issue was: How much am I going to get paid to get gawked at? They were people trying to make a living. I've interviewed promoters who have said, 'We didn't exploit them. We gave them good money and contracts. 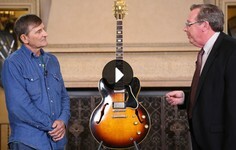 You're the one who's exploiting them, writing about them without paying them a dime.'" This account comes from Robert Bogdan's book, Freak Show: Presenting Human Oddities for Amusement and Profit, University of Chicago Press, 1988. 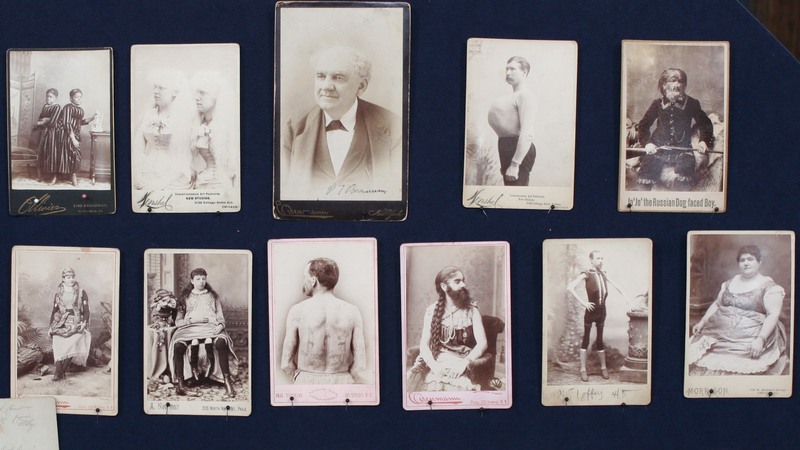 To see photos such as those that aired in this ANTIQUES ROADSHOW episode, visit Syracuse University's special collection of Charles Eisenmann's photographs of sideshow acts. 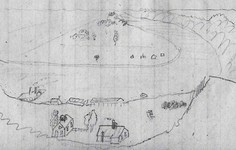 Dennis Gaffney is a freelance writer in Albany, New York. 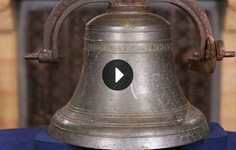 He has been a contributor to Antiques Roadshow Online since 1998.